Thank you for enquiring about membership of the Youth Section of Northwood Cricket Club. Thank you for enquiring about the Northwood Cricket Club Youth Section. For season 2019, Youth Section membership is open to boys and girls in Years 2 to 9. We provide indoor coaching during the spring term and outdoor coaching in the summer term. During the summer term we will have six teams competing in the Middlesex Colts Association Leagues: two teams at U10 level and one team at each of U11, U12, U13 and U15 levels. More details about our coaching and match plans and costs are contained in the Club Documents section where a Membership Renewal pack is available for existing members and a Membership Application pack is available for potential new members. In the summer term of 2019 Northwood will have two teams at U10 level playing 8 a side pairs cricket on Sunday mornings. We will also have an U11 side playing 11 a side cricket on Monday evenings, an U12 side playing 11 a side cricket on Thursday evenings, an U13 side playing 11 a side cricket on Tuesday evenings and an U15 side playing 11 a side cricket on Thursdays evenings. Northwood aims to have at least 12 Level 2 qualified coaches, 2 Level 1 qualified coaches and 9 Coach Support Worker qualified coaches to lead and support coaching sessions in 2017. All will have been trained and assessed as competent by the Middlesex Cricket Board. Membership of Northwood Cricket Club Youth Section is open to boys and girls. We do not yet have many girls playing in our Youth Section and we are very keen to get new female members. There are insufficient female members to run an all-female group at present but if sufficient girls do join then such a group will be started. 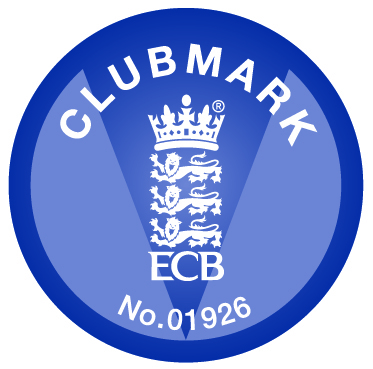 The England and Wales Cricket Board has recognised the way in which Northwood Cricket Club organises its Youth Section activities and has awarded the club Clubmark status. The wellbeing of every young person is our first priority.